Haven’t renewed your Players Card yet? We appreciate you being a former JC Player and want to extend a special come-back offer so you get the best golf deals at JC Golf courses, including The Crossings at Carlsbad! 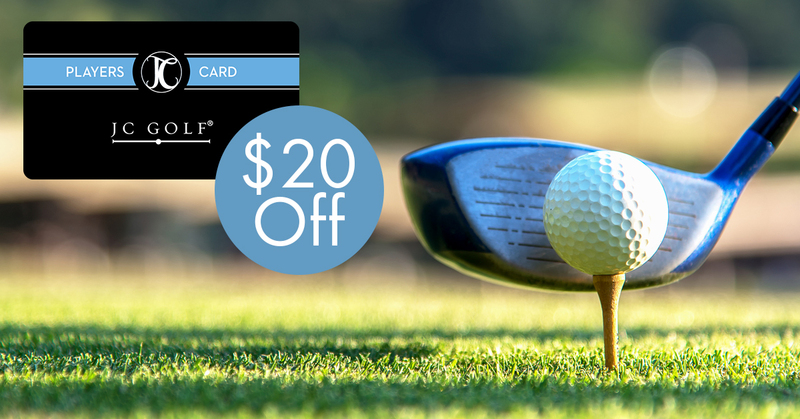 For a limited time, receive $20 off and a FREE round at Twin Oaks Golf Course with the purchase of a JC Players ANYTIME card or JC Players Signature ANYTIME card. With the JC Players Card, you’ll receive these BIG benefits! To play every day, anytime, even on holidays, choose the JC Players Signature Card. Your bonus FREE round at Twin Oaks Golf Course will automatically be added to your account. For questions about this offer or the JC Players card program, email our JC Players Card specialist, Jeanna Amico at jamico@jcresorts.com. *JC Players Signature ANYTIME card includes 5 rounds at all courses, with no restrictions ($379). *JC Players ANYTIME card includes 5 rounds; 2 are valid at all courses and 3 are valid at all courses except Encinitas Ranch, Rancho Bernardo Inn and The Crossings ($349). **JC Players Card offer valid through November 15, 2018. Offer only valid for the original recipient of this email. For online orders, mention “Treat” in the notes section of the purchase form to receive discount. For Pro Shop purchase, must present this email at checkout. JC Players Card offer or free round at Twin Oaks is not valid with any other offer.